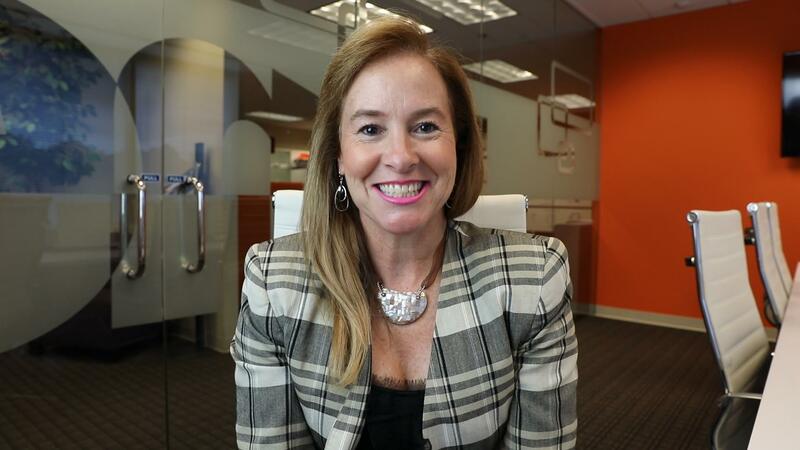 Shannon Russo currently sits as the Chief Executive Officer for Kinetix, an Atlanta based company that has created a new style of RPO that promotes business development for partners around the United States. Shannon has a background as a finance executive for companies that do hundreds of thousands of hires annually — it’s safe to say that she rode the corporate wave. Shannon left her finance role to do her own thing and bring her unique talents and vision together to find Kinetix. Thank you so much for doing this with us! Can you tell us about your journey to becoming CEO?. For me it was really a non-traditional journey, I was what you could call a corporate geek. I started my career path out of college working for a bank, and I got the chance to do that here in the US and overseas. When I came back to the US, I started working in corporate finance for a humongous company, a Fortune 20 company. I worked my way up various corporate ladders until I was named the CFO at a large public organization, again I was a very corporate geek. But I knew that I wanted something else, that I needed to be an operator, and had to get off the finance track. Kinetix was a shining reminder that no one was going to give me that opportunity, I had to take it. So I took my marbles and went home. I liquidated my retirement and bought in to fund Kinetix 13 years ago, which sounds crazy, I know. But I said to myself that if this fails and I lose all of my retirement, there will always be another opportunity out there to work for someone else. I have great experience, a strong resume, the worst that could happen after all of this would be getting hired somewhere else. After being recruited to the C-suite level at large corporations, I realized that I had to do this and follow my passion. I had to see if I could make it — and lucky for me, here we are! Personal success in my mind is being genuinely happy with your life. There’s always going to be good things and bad things, fair things and unfair things — it shows an exceptional level of character to be happy in your circumstances, whatever they may be. Success is your ability to manage your life, and change the things you want to — you just have to possess the will to be there and invest that time and care into yourself. From a business standpoint, I believe that true success is reached when you create and embrace sustainability. You have to know your risks and actively work to eliminate those barriers, so that you can build a long-term, sustainable business that will exist long after you are gone. Success lives in a business’s legacy — all of the great people who have worked here, who work here now or will in the future, and all of the people impacted every day through our work. I have a lot of stories, but my favorite one also doubles as a lesson. Years back when we were smaller, I had a room of file cabinets in the office that often went unnoticed. When I went in those cabinets to do some inventory I found that we had over a hundred brand new binders that no one really knew existed. Here we were adding more binders to common office supply orders when we had this gold mine full of perfectly new ones! I told my office manager to put a stop on all binder orders. The word spread quickly about the “binder ban,” and people started drawing conclusions — that’s how the toxic rumor started. Everyone panicked telling other team members that we couldn’t afford binders and that we must be in trouble financially, it was a telephone game nightmare. Only after this small rumor turned into a widespread panic did I learn about the miscommunication. I was able to explain the excess binder supply in our office cabinets and that everyone would still have a job in a healthy company come Monday. This has become the most impactful life lesson in growing my business– even if you are a small group operating out of one office, there is still plenty of room for communications to go sideways. Today I look at the five boxes of binders still left over after 13 years and just laugh. It’s a great reminder that you don’t have to be a big company to have multi-layered miscommunications across managers, team members, and leadership. Adding those layers in any growing business is inevitable, but as soon as you do the telephone game starts. You just have to open up new opportunities for communication and tell people about your binders upfront. I’ve had many, many failures along my journey, but I have to remind myself that as long as a failure isn’t life or death, you can get through it. I’ve had failures where I miscommunicated something to a client, and in their mind, I had let them down. It wasn’t great for me, and it certainly wasn’t great for them — I felt like I had damaged their trust. I got through that by focusing on their needs and being completely honest about the mistake. Whether it was completely my fault or not, it doesn’t matter. That is what being a leader is, and if you are trying to lead a company you better be ready to take the fall a few times. The buck stopped with me, I owned the mistake and we found a plan to move forward. Not only does this approach help rebuild the trust with outside partners, but also with your employees. They see you doing the right thing, even when no one knew there was an issue. Kinetix to me means growth in motion; it’s a play on the idea of kinetic energy or energy that creates a change. When we started we wanted to move companies forward by providing the talent they needed to succeed, and we wanted to help inspire change in people by giving them an opportunity to take on a new career. We set out to deliver Recruitment Process Outsourcing (RPO) and talent development in the broadest sense. From an operational standpoint, most of our current business initiatives revolve around clients — helping them score the best talent and keeping that talent on their teams. We understood that to set ourselves apart in the marketplace we had to cultivate these moving parts of the talent industry to create a unique product that will give our clients a leg up on competitors. That’s how we came up with our holistic model — we wanted to support our recruiting efforts in every way possible to make our business sustainable. We offer services that give our clients the extra edge in every step of the talent acquisition and development process — in other words, we aren’t just another recruiting company. We fill the talent funnel through recruitment marketing and employer branding, then we go out and grab that talent through a variety of recruiting packages that can be tailored to fit each organization’s hiring needs. Finally, once that talent is in the door, we go in and do live HR consulting and management training to help clients create stronger leaders and a sustainable workforce. These offerings can also translate into one-off projects like employee handbook development or Careers Site remodels. By diversifying our services to appeal to every business looking to grow and develop their talent, we believe that we have become the long-term, one-stop shop in the industry. We are always trying to develop our employer branding product to stay ahead of the curve and take our clients to the next level. We were ahead of our time when we initially launched these packages, and the market has started to catch up to us because people are understanding the value in recruitment focused messaging. The job market is on fire right now. But when we first started promoting this product people brushed it off. Now people can see how powerful this employer branding aspect is to a business if you want to attract and retain a great workforce. Another project that we are investing in is our BOSS training series. If you look back over the last 20 years, so many companies got rid of their training programs, so adding the BOSS product was a response to all of these companies coming to us and asking for the next step after onboarding their new talent. The workforce has to be so flexible today because of all of the generations that exist in the modern workplace, and with this project, we can help someone who has been on their career path for 50 years really understand how to be an effective leader for their teams. We train them how to manage people, how to talk about compensation, and even how to successfully interview for specific skills they need legally. It was truly a project born from client requests to make their teams more focused. Can you tell us about the initiatives that your company is doing to become be more sustainable? Can you give an example for each? As a small-to-medium sized business, sustainability means a lot to us, from an environmental standpoint, a community standpoint and a business development perspective. We actually chose the building that we operate out of because it is LEED (Leadership in Energy and Environmental Design) certified. Our building is designed to conserve water and energy, while also generating less waste than traditional office buildings, and it’s really something that our team can be proud of. The choices that we made when looking for our home office had everything to do with sustainability. In our industry, we depend on paper to keep us organized, but at Kinetix, we are trying to take steps that move us forward on our journey to more effective sustainability. For example, we have adopted different online collaboration tools that have significantly minimized our dependence on traditional paper and allowed us to really add an extra layer of security to all documents we touch. Given the nature of the recruiting business, we believe that paper makes up a major percentage of our footprint, and we are continually striving to find new ways to make that footprint smaller. Recruiting is a people-centric business, so we take that seriously in regards to every project we work on. In other words, we are always asking how we can use our skills to pay it forward and give other people the tools they need to thrive. As a company with strong ties to the community, we understand that sustainability isn’t just about doing things that support the environment, but also taking steps to empower the organizations that enrich Atlanta. Through our Kinetix Kares outreach group, our own team members are able to connect with so many unique organizations that share our passion for making a difference. We’ve organized backpack drives for after-school youth clubs, made summer lunches for local children who depend on free or reduced-cost meals during the school year, and have even gotten creative with our talent by sending our recruiter volunteers out to host resume and interview skill-building workshops. These projects give us the opportunity to be hands-on in our goal to strengthen our neighboring non-profits around the Metro Atlanta area. From a business development perspective, I am always anticipating client needs and feedback because they play a significant role in our operations every day. By helping our many clients from diverse industries build their teams with the best talent out there, we are securing meaningful futures for our own team and giving them the opportunities they need to grow. Until I started running my own business I never thought of leading that way, It’s both an awesome and humbling truth, that I am responsible for moving our team forward and helping people all over the country find career opportunities. It’s my responsibility to make this business successful long-term, and remember that it’s a marathon — not a sprint. All of these factors come together to create my vision for a sustainable business. It’s very easy to forget that you are hiring your people because they are good at what they do, or you see the potential in them that makes you feel good about betting on them. Trusting and empowering your team to understand their part in your vision for the company’s future will not only help them feel supported in their role, but it will also encourage them to reach that vision of success with you. On the other hand, I always say that it’s crucial to be clear in your expectations so that people can know how to be successful and pave a fulfilling career path with you. Everyone has to understand the expectations, not just for the job but for who you are and what your goals are as an organization. You are entirely correct, none of us can achieve greatness without help. One of the things that have played a significant role in my journey is that I am female. Often you hear people say that behind every strong man is a great wife. You don’t hear that as much when the roles have flipped, and it’s the woman running the company. In my case my husband is the one who picks up the slack with the family and our home, he is a huge part of my success. My kids also have a strong understanding of the commitments needed to run a business like this; they are all so supportive of me every day. I’ve had a lot of mentors along the way, but when it comes to the day-to-day and the hard stuff, my family is always there to help pick me up. People don’t talk about that enough, but they really are everything. I totally didn’t set out to be a hero to my daughter but she told me the other day that I was one to her, and it literally made me cry. I was just a person working in an organization and thought that some things could be better, and knew that if it went south someone would hire me to join their organization. Now 13 years later here we are, still striving to make the workplace better for everyone. For me, that is one of my greatest triumphs because I can see in her this knowledge that she really can do anything and be anything. The roles don’t have a gender associated with them in her eyes, and for me, that is the best success. My success and my team’s success depends on our ability to bring people new careers and new futures. We have the best job in the world; we get to interact with people every day and connect others with new opportunities everytime one of our recruiters picks up the phone. Some of the most rewarding moments in my career are when we make an offer to a candidate, and they start crying because of this bright new start for their family, it’s truly an indescribable feeling. If I could wave a magic wand and inspire a movement that will change the world, I would put more emphasis behind the idea of paying things forward. If I could get everyone to wake up every day and say I’m going to do something to make a stranger’s day brighter. It could be a small or a more significant act, but with just one a day I think we could literally inspire one another to become actively kinder. Imagine what we could do and how we could change the world with these acts.